Designing machines is a passion for Eng. Osman Güler. He is not only a smart or professional person but also an innovative talent. 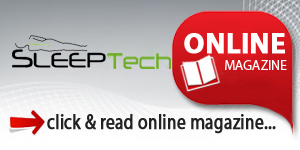 He founded Elektroteks Company in 1990 in order to develop electronic and software solutions to the textile industry. 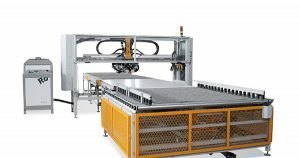 Then, with the strong technical infrastructure of the company, it started to produce complex control systems for machinery manufacturing and automotive industries under the brand of “Sayger Automation”. 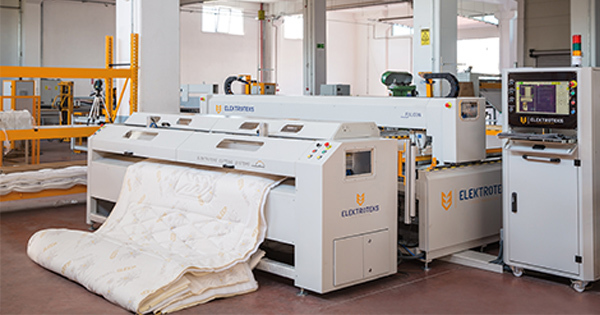 Then, in 2003 with the extensive know-how gained by being partners with different machinery manufacturers in various sectors, Elektroteks chose mattress and quilting machinery to specialize in. In 2004, Osman Güler innovated the first double needle continuous quilting machine in Turkey and pioneered many innovations in the bedding industry. The company now manufactures mattress machines, quilting machines, packing machines, gluing machines, border machines and special machines for domestic and foreign markets. Offering special solutions to their customers Elektroteks is proud to have more than 40 different machines in its product portfolio. 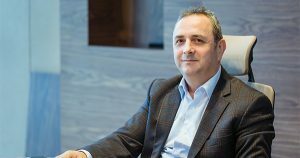 We recently talked to Serkan Guler, Sales Manager of the company about their success story. 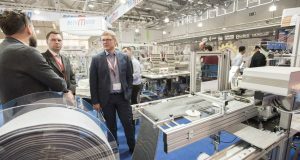 He said that Germany was the biggest market in Europe and that they had a successful participation in Interzum where they exhibited the machinery for cover, packing machinery and gluing lines. What are your expectations for your firm and for the industry in the last quarters of 2017 by comparing them with the results of first quarter? As Elektroteks, we grew 25% in the 1st quarter compared to last year. We are optimistic for the year, especially for the second half. However, we think more investments will be seen in 2018. 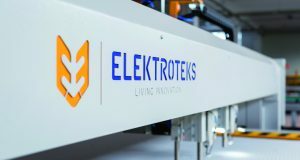 What exactly is the present power of production of Elektroteks, who increased its production capacity by 50% in 2017? Since we are offering tailor made solutions to our customers, it is not easy to give exact figure and to measure the production capacity of our company. Having more than 40 different machines in our production line, it is hard to calculate our production capacity. However, we keep increasing our production capacity with new investments in the factory and new production planning tools. What were the major products that you exhibited in Interzum Cologne fair and what was the result? Were you satisfied? We showcased quilting machines, packing machines and glue lines at Cologne. Our booth became a focus of attention at it is at every show we exhibit. We met with many existing customers and we were visited by many prospective clients. It was excellent and we were satisfied. Would you mention about your foreign trade activities? Do you export to Germany? Germany is the biggest market for us in Europe. We permanently send some machines to Germany. All the machines we displayed at Interzum were installed for our customers in Germany after the exhibition. 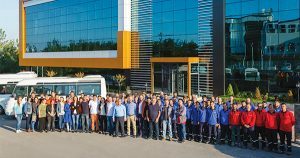 The company has a very respectful reference list including Askona, Istikbal, Matraflex, Yatsan, Serta, King Koil, Spring Air, Yataş, Restonic, Intercoil, Simmons, Ikea, Bambi, Nurus, Idas, Embawood, Burotime and Merinos among many others.